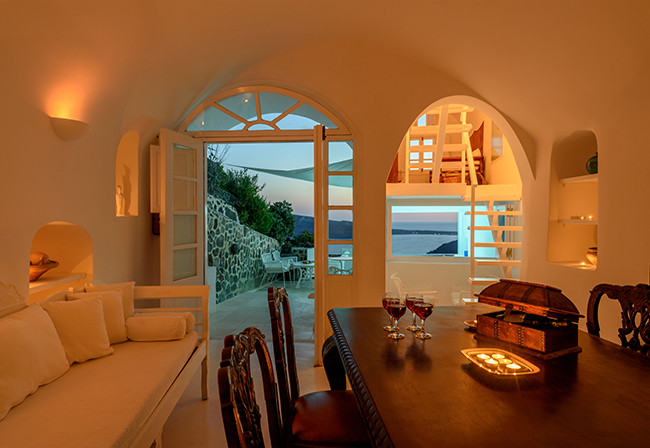 A dreamy luxury villa in Oia excellently situated at the highest altitude point of the traditional village in Perivolas area, Greece. 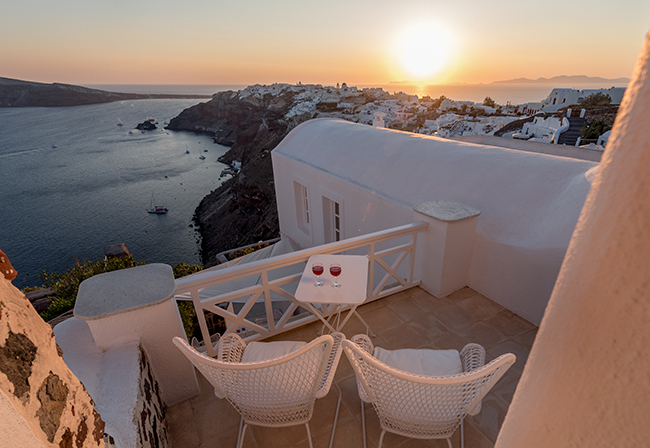 Oia is a luxury destination in the famous island of Santorini, where the outstanding panoramic view offers precious family moments and romantic escapes for couples. Crystal clear blue waters, volcano calderas of natural beauty and breathtaking sunsets creating a romantic aura for couples, are few of the pleasures your eyes can expect from the view of this luxury villa. 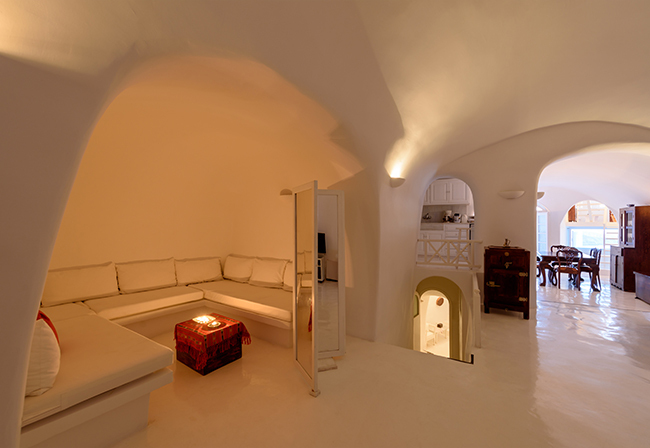 This will be a memorable visit to Greece and its finest house rental in Santorini. 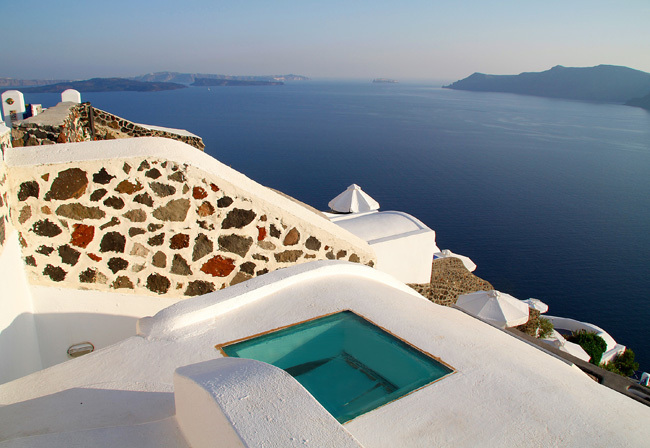 that stands for everything you may anticipate to experience in Greece and the island of Santorini. 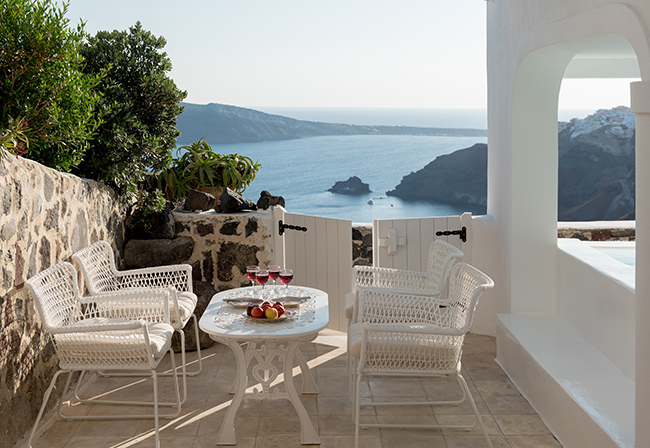 Moments of relaxation with your family, exceptional cosmopolitan living, romantic walks for couples! 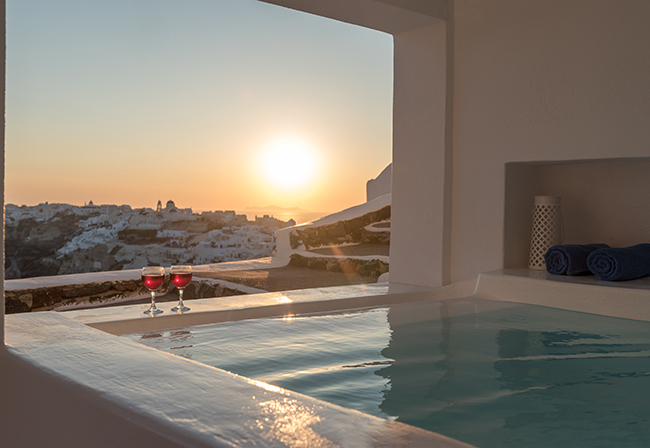 It all starts in this comfortable luxury villa in Oia, Perivolas in the most magnificent house rental in Santorini, Greece with its traditionally furnished and architected villas. 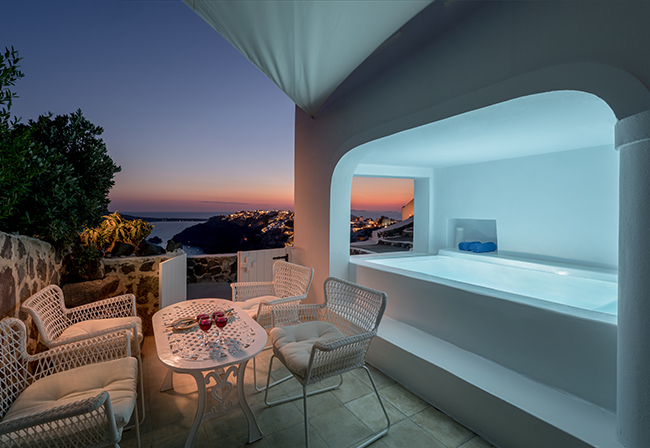 During your stay in Oia, our Villas will provide all the comforts you wish, from Jacuzzi baths to full kitchen facilities with family fridge. 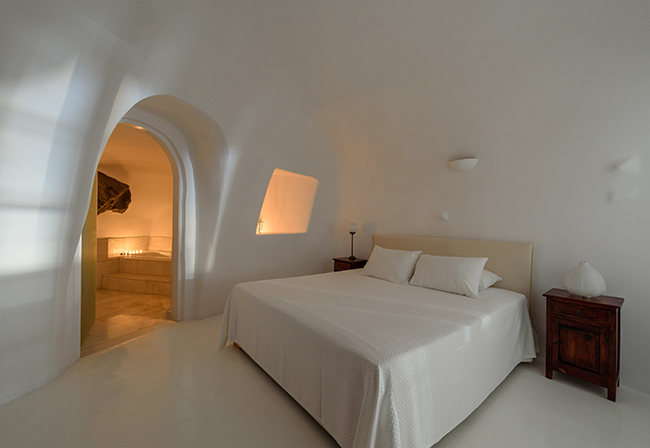 Welcome to a unique house rental in Santorini! 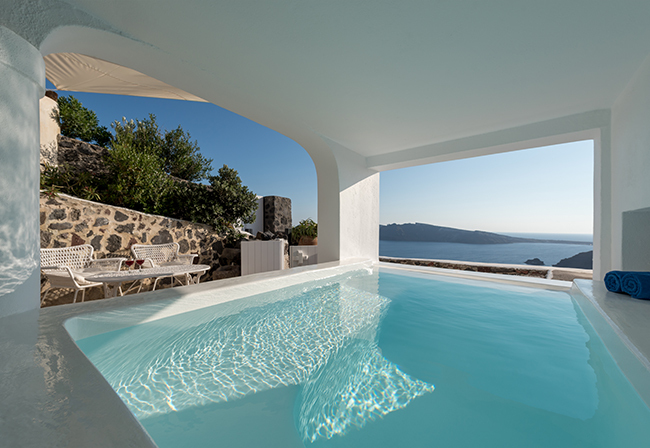 A luxury villa in Oia that offers you nothing less than a new luxury... point of View!